These properties can be booked together to accommodate up to 19 guests.All on ground floor. Low beams throughout. Bathroom: With shower over bath, and toilet.Oil central heating, electricity, bed linen, towels, Wi-Fi and logs for wood burner included. Travel cot and highchair available on request. Telephone available on request. Sitting-out area with garden furniture and BBQ. Private parking for 2 cars. No smoking. Please note: There is an unfenced pond in the sitting-out area, 50 yards away. This property has a security deposit of £250 (Christmas and New Year). 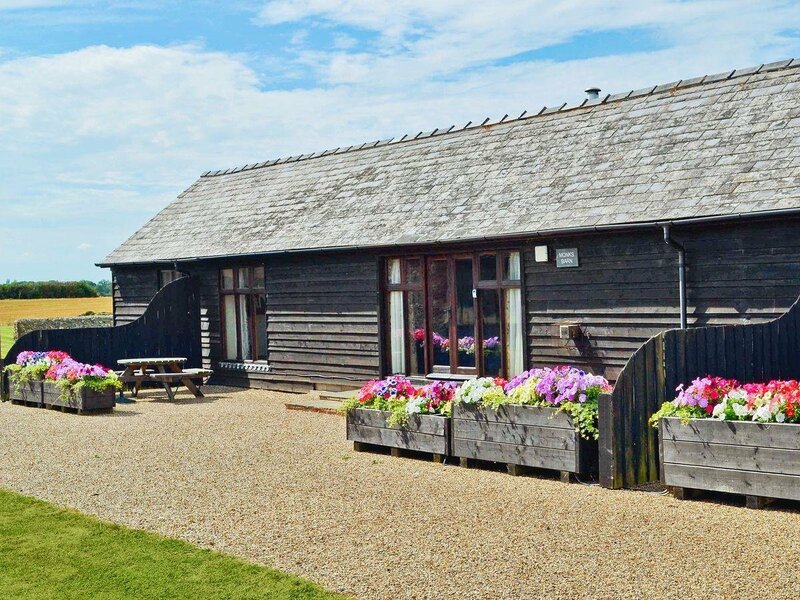 Be the first one to tell us about your rental experience while staying at St Radigund’s Abbey Farm - Monk’s Barn. Let us know if the listing matched your expectations. You can share your comments about the location, property owner/manager and all the unique features that made your stay a memorable one.